Eugene, Cascades & Coast Sports Commission is the source for youth and amateur sporting events in Lane County. 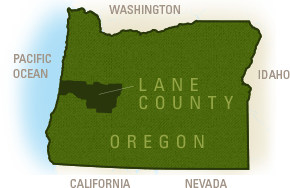 The Sports Commission provides opportunities for your organization to become involved in the thriving Lane County sports market, and maximizes your exposure to event attendees. Sports events offer a positive environment for everyone involved, and athlete/spectator involvement ranges from local and regional tournaments, to national and international events. We strive to create new events each year, opening further opportunities for your business to show its support for Eugene, Cascades & Coast Sports Commission events! 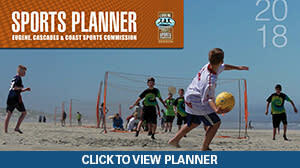 All partners will enjoy the benefits of a prominent web presence on EugeneCascadesCoastSports.org, a valuable resource for sports planners, participants and fans; insider news via the quarterly sports eNewsletter; and special Commission events. If you have any further questions about sponsorship opportunities, please contact us. Awareness: Sports events put the sponsor's name in front of the consumer, so that they will give it favorable recognition when exposed to other marketing messages. Image: The exposure helps create a personality and style for a product or service, while distinguishing it from others in the market. Customer Support: Consumers are more likely to purchase products or services from the companies aligned with their events. Fans and players respect the sponsor's support. Positive Environment: Sports events spur an active, family friendly environment that is healthy for consumer-vendor relationships. Also, event sponsorships can encourage company pride and loyalty to help attract and retain staff. Community Involvement: Sports events become a source of community pride. Sponsorships show that a company cares about the community and is prepared to invest in the future and welfare of its citizens. Captive Audience: Most event layouts keep spectators confined to a specific area for an extended period of time, resulting in multiple exposures for the sponsor.